For those looking for an ultra-modern office chair, the Chloe Office Chair will not disappoint. 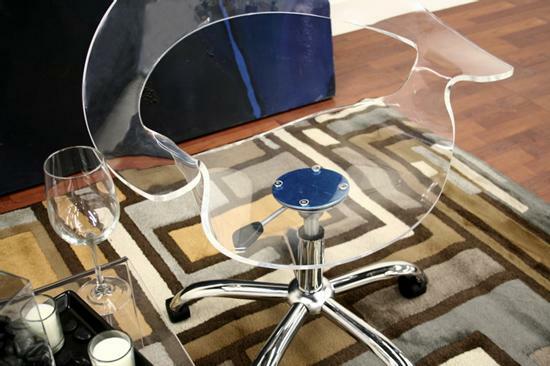 Starring features include a transparent acrylic seat, 360 degree swivel, and adjustable height. 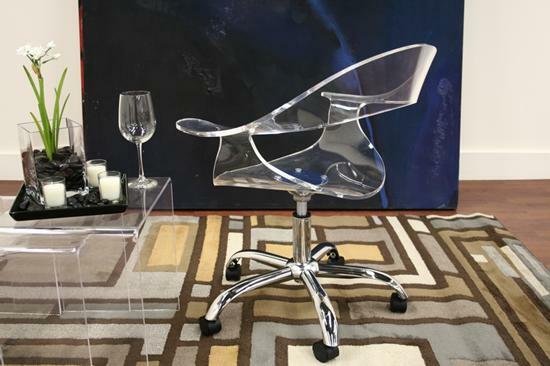 Chloe chair features 5-wheeled base constructed from steel with a high-shine chrome finish.